Mark Farina is a modern day minstrel and one of the most ubiquitous DJs in dance music, best known for his blend of house, jazz, and downtempo, called “Mushroom Jazz”. He began his DJ career at the age of 16 in Chicago, and soon joined forces with Derrick Carter to create an underground house music scene that has influenced parties and clubs throughout the world. 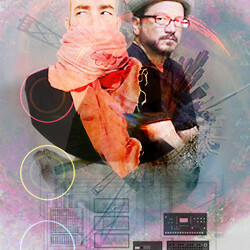 Farina relocated to San Francisco in 1992 and has been based here since, evolving into a producer and international DJ. A pop-up photography exhibition by house music legends Mark Farina and Sunshine Jones.